Shoreline Steel began manufacturing steel piling in 1983. We now run four mini-mill roll forming operations that produce 30 different piling sections in six different configurations. 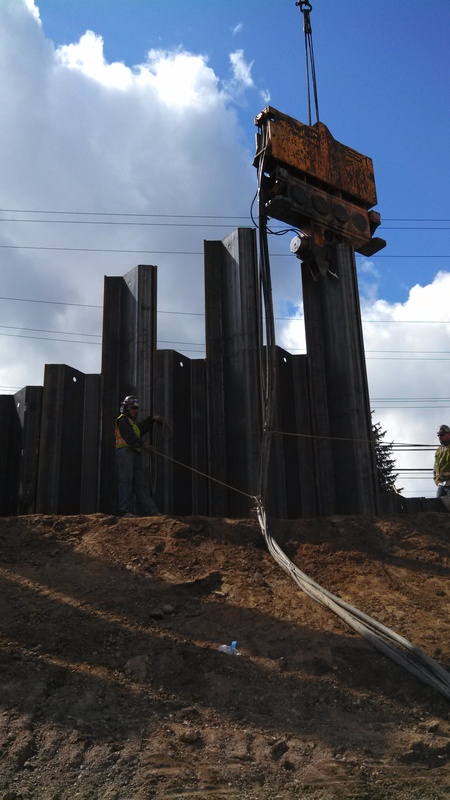 Shoreline Steel is proud of our reputation as a provider of quality steel piling. We have the technical knowledge and manufacturing experience to provide you with quality products and timely job site deliveries to accommodate your construction schedules. One of our competitive advantages is our ability to produce piling to the exact length of your specification. We also fabricate corners, tees, capping, waling and a variety of tie-back products for your piling. Shoreline Steel is a member of the Pile Driving Contractors Association and the Deep Foundations Institute.